Ships today if you order in the next 12 hours 5 minutes. Makers of herbal formulas take advantage of the natural properties of plants to offer all-natural products. Marshmallow root, for example, contains polysaccharides that create a soothing effect on gastrointestinal mucosa, so it is used for certain digestive issues. It is also known to support the immune system. Turmeric also benefits the gastrointestinal system by helping the stomach withstand digestive acids, promoting the release of bile, getting rid of gas and promoting intestinal flora. 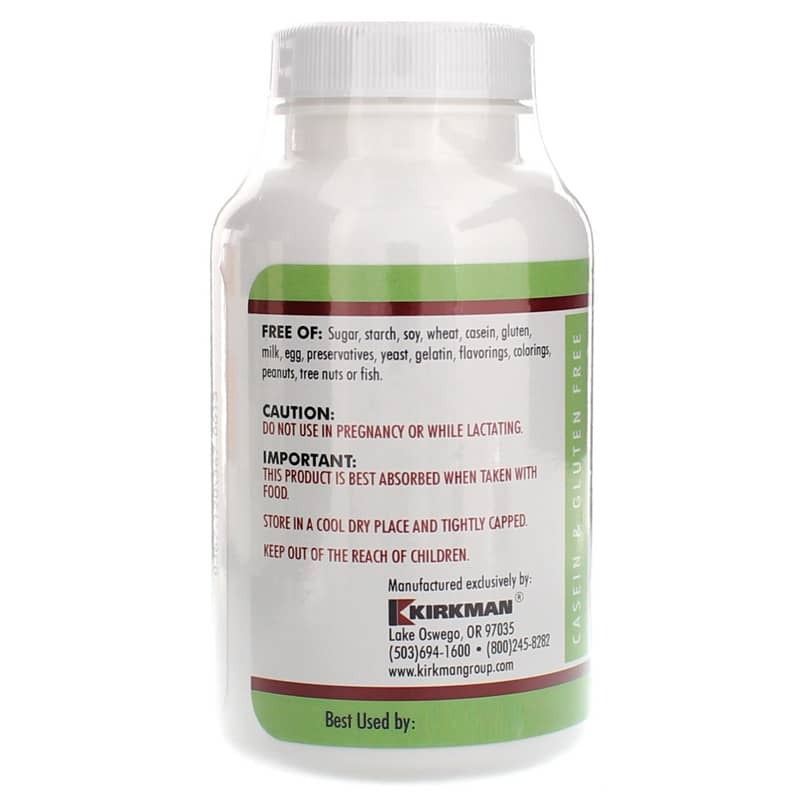 Kirkman offers a hypoallergenic natural supplement called Gastromune AI/Allergy Support that may support healthy gastrointestinal mucosa and the immune system. For maximum benefit, take a good multi-strain probiotic with this product. 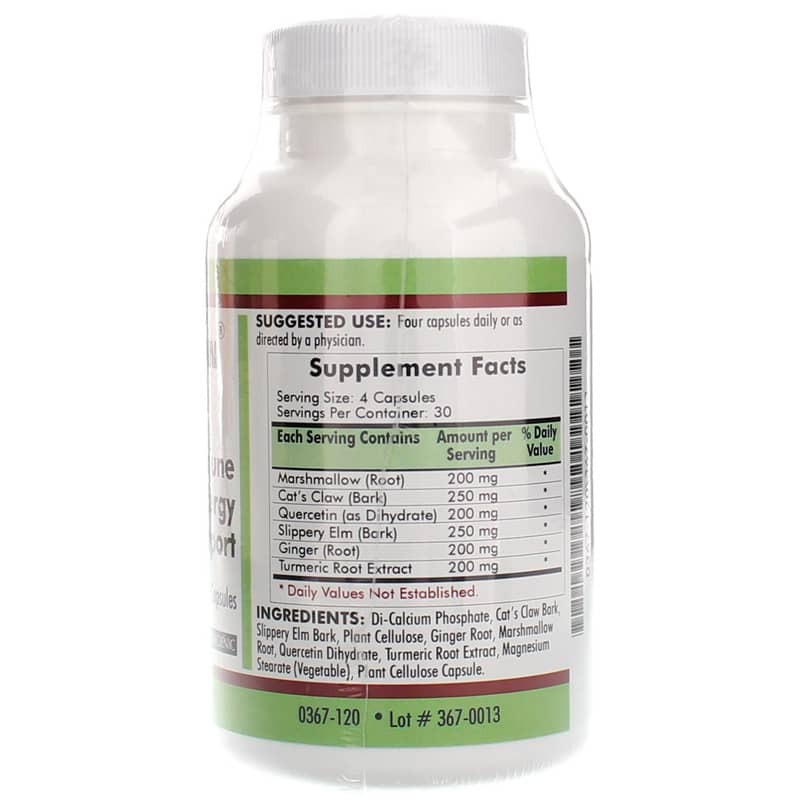 This formulation contains the following herbal ingredients: marshmallow, cat's claw, slippery elm, ginger, turmeric and quercetin. It does not contain most common allergens, including wheat, gluten, casein, soy, sugar, starch, egg, milk, gelatin, yeast, peanuts, tree nuts, fish, preservatives, colorings or flavorings. 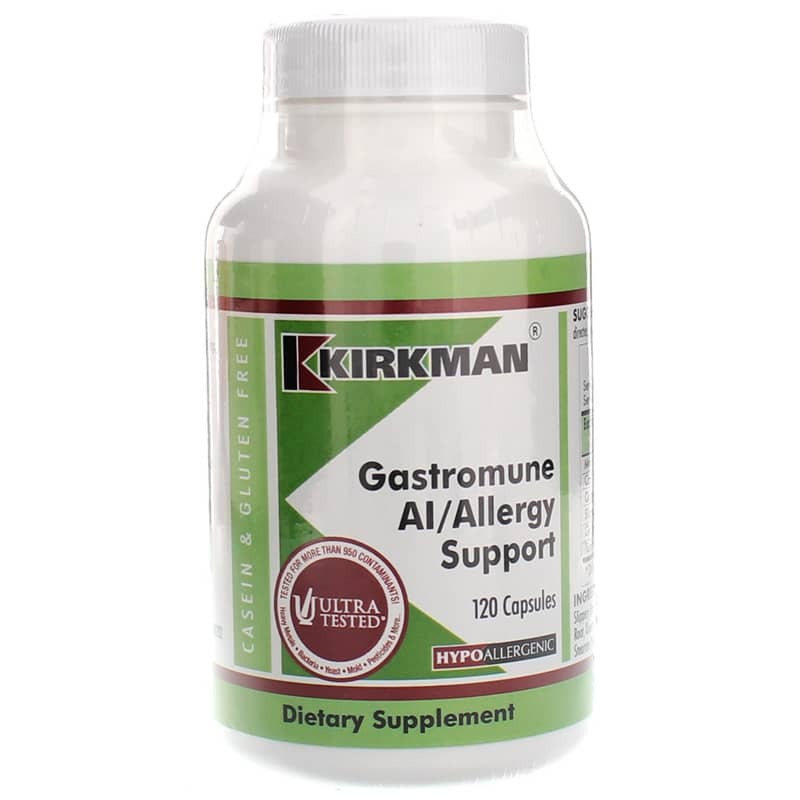 If you're looking for a hypoallergenic natural supplement that may support healthy gastrointestinal mucosa and the immune system, check into Kirkman's Gastromune AI/Allergy Support. Order online today! Ingredients: Di-Calcium Phosphate, Cat's Claw Bark, Slippery Elm Bark, Plant Cellulose, Ginger Root, Marshmallow Root, Quercetin Dihydrate, Turmeric root extract, Magnesium Stearate (Vegetable), Plant Cellulose Capsule. Contains NO: Sugar, starch, soy, wheat, casein, gluten, milk, egg, preservatives, yeast, gelatin, flavorings, colorings, peanuts, tree nuts or fish. Adults: Four capsules daily or as directed by a physician. This product is best absorbed when taken with food. If you are pregnant, nursing, taking medications or have a medical condition, please consult your healthcare practitioner before taking any dietary supplement. Keep out of the reach of children.